TTN: A bus route taken by many thousand tourists every year was the scene of an horrific crash on Tuesday 16th February 2016. 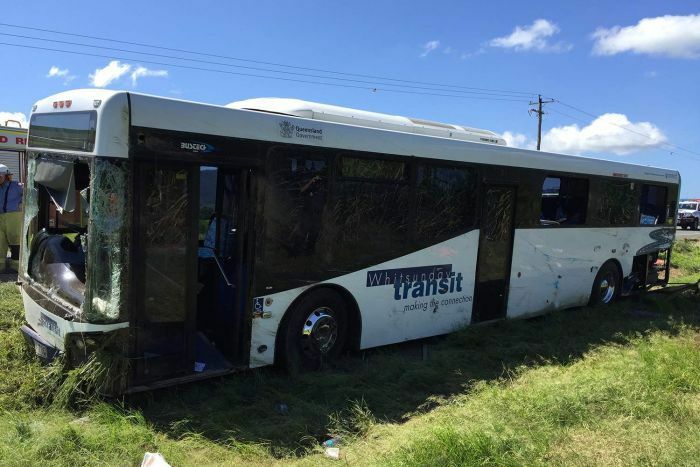 A commuter bus driven by a 70 year old man left Shute Harbour Road and rolled. The bus was carrying 11 people, one of whom is now dead. Shute Harbour Road is the main thoroughfare between Airlie Beach and Proserpine, Proserpine being the site of what is effectively the Whitsunday airport. 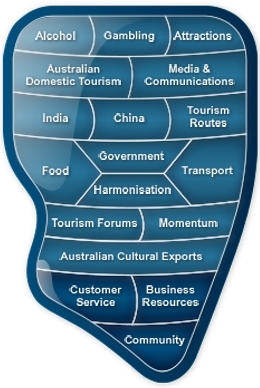 Many thousand tourists travel Shute Harbour Road in shuttles every year to access the Whitsundays. This bus was a commuter bus. 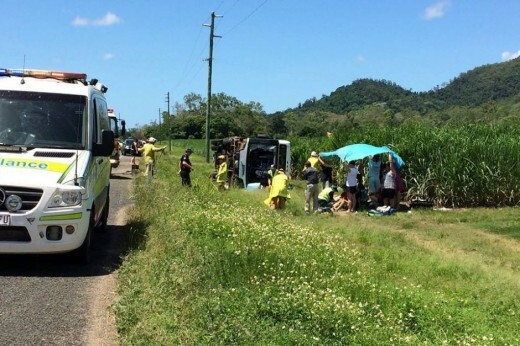 A Proserpine teenager has died in hospital following a bus rollover that injured 10 others near Airlie Beach in Queensland’s Whitsundays region on Tuesday afternoon. 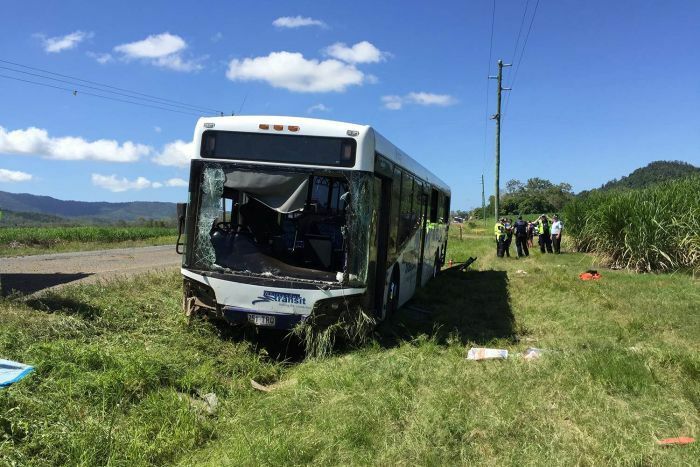 The bus was travelling from Airlie Beach to Proserpine on Shute Harbour Road in Cannon Valley when it left the road and crashed into a ditch about 1:00pm. Queensland Health said 11 people, including a six-month-old child, were injured and taken to Mackay Base Hospital and Proserpine Hospital. A 19-year-old man, who was taken to Proserpine Hospital with critical head injuries, died on Tuesday afternoon. Three of the patients are currently listed as critical and seven are stable. A 17-year-old man remains in a critical condition in Proserpine Hospital and is expected to be transported to Townsville Hospital, along with a 25-year-old woman who suffered serious arm injuries. A 29-year-old man has had one of his arms amputated. The 70-year-old male driver, three female passengers aged 79, 46 and 23, and three male passengers aged 42, 36 and six months, were also transported to Mackay and Proserpine hospitals for treatment. Townsville Hospital is on standby to accept patients if needed. Queensland Health will provide condition updates this morning. Police Inspector Steve O’Connoll said the local community was in shock following the crash. “We expect the majority of people on board to be Proserpine locals, so for that many to be injured, it’s quite a large impact in one hit,” he said. Up to nine ambulance crews attended the scene, as well as two rescue helicopters. The bus was operated by local company Whitsunday Transit. Jake Coyne was with two friends in a car behind the bus and about to turn off onto Strathdickie Road when they saw the vehicle overturn. “Upon arrival there was one person laying on the grass having a fit from a big impact,” he said. “We ran around to the front were I met the fella in the car in front and we proceeded to kick the windscreen in. “One lady had her arm trapped under the bus and there was another trapped at the rear.